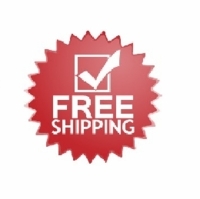 We offer large portable screens from Draper, Da-Lite, AV Stumfl, Elite and others. Multiple sizes are available. Large portable screens can be used for trade shows, theaters, entertainment venues, stages, rentals, and more. Durable and easy to use with Draper's "lock and load" latch system. Heavy duty wheeled carrying case included! Prices start at just $579! Prices start at just $1,080.80! The Fast-Fold� Deluxe Screen System is designed for rental and staging environments, and features easy release latches on the frame for efficient set up and tear down. Prices start at just $535.20! Large folding portable screen, with extra rigid truss-style frame. Prices start at just $2185! 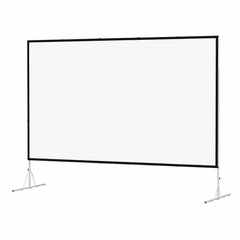 The Heavy Duty Fast-Fold� Deluxe Screen System features a heavier 3-1/2� wide by 1-1/4� thick frame system for a more durable design and is for rental and staging environments. It features easy release latches on the frame for efficient set up and tear down. Prices start at just $1829.60! Prices start at just $562! With small profile frame segments made of sturdy extruded aluminum, the FocalPoint is extremely rigid and durable, while remaining lightweight. Prices start at just $1523! Designed specifically to be flown, but can also be used with legs. Either way, it is the strongest and most rigid screen on the market. Prices start at just $2176! Combines a time-tested frame system with stable, reliable and automatically engaging snap joints that allow a single-piece frame. Combines a time-tested frame system with stable, reliable and automatically engaging snap joints that allow a single-piece frame. Available up to 24' wide. The Fast-Fold� Truss Frame Screens are designed for versatility and durability in rental and staging environments, and accommodate nearly any size of surface. A rugged carrying case ensures ease of transport and storage. Prices start at just $1,923.20! The Floor Model C is a pull-up screen with reduced spring tension for ease of use. Ideal for rental, stage and hospitality settings, it is also available with a carpeted case. Prices start at just $324.80! Prices start at just $149.60! Prices start at just $461.60! The Floor Model C is a pull-up screen with reduced spring tension for ease of use. Ideal for rental, stage and hospitality settings, it is also available in a non-carpeted case. Prices start at just $416.00! Skirts for Ultimate Folding Screens. Skirts snap to bottom of screen fabric, no extra hardware required! Skirts for Draper Cinefold Screens. Skirts snap to bottom of screen fabric, no extra hardware required! Skirts for Draper FocalPoint Screens. Skirts attach to fabric using magnetic attachment points, no extra hardware required! Skirts for Draper StageScreens. Skirts attach to fabric using DuraLoops and magnetic attachment points, no extra hardware required!